Bold rimmed oversized flat top aviator sunglasses that feature a prominent metal chain arm and clear lenses. 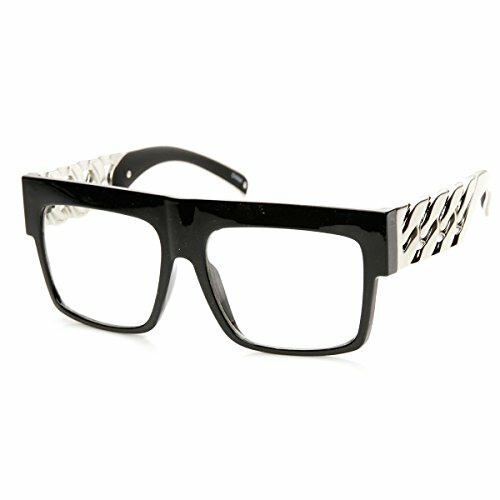 With all the distinct high fashion details its no surprise why these sunnies are loved and worn by so many celebrities. Made from acetate based frame, metal hinges and clear polycarbonate UV protected lenses. If you have any questions about this product by zeroUV, contact us by completing and submitting the form below. If you are looking for a specif part number, please include it with your message.